Three weeks went by. Then, there was some progress in the shape of an envelope in our mailbox. What was inside? A five-page nondisclosure agreement and the information that we could talk specifics once it had been signed. We picked up the phone and explained that we don’t work that way. That if even the most basic information – which might put the whole project in jeopardy (an unsuitable date, a client’s budget that is too small, etc.) – could not be provided without an NDA, we could do without working together at all. 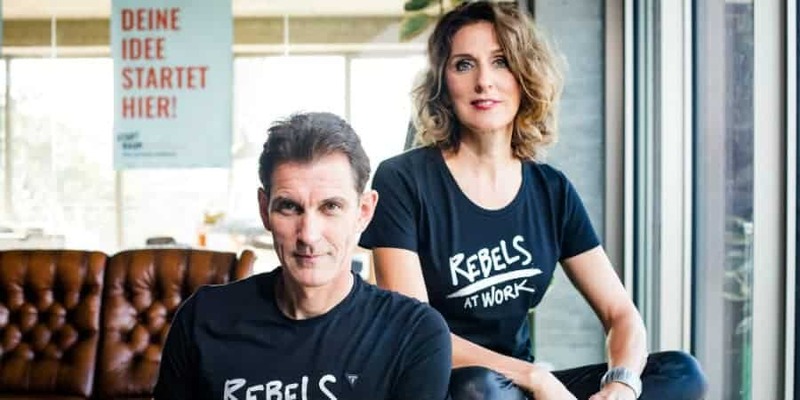 Troublemakers, misfits, rebels – this kind of vocabulary is evidence of a defensive attitude widespread in many organizations: They are regarded as the kind of people with uncomfortable opinions that disrupt business as usual and dare to question the status quo. Such behavior might be considered desirable in job advertisements, but “normal operations” don’t allow for it. Of course, employee opinions are gathered occasionally in satisfaction surveys. And sure, every now and then there are company-wide calls to submit ideas. But everyday work consists of carrying out orders, implementing instructions, and getting on with things – not questioning the status quo, imagining how things can be different, and experimenting. The established order is not to be questioned! And, of course, most employees who have been accustomed to this for years, or even decades, don’t raise their hand even when they are expressly asked for their opinion. They are not stupid! Those who are brave enough to express an opinion that goes against the norm, and the prevailing order are often hung out to dry. They get discouraged and resign sooner or later. And we’ve had enough of it! We hear these kinds of stories again and again. People who would rather keep their mouths shut and thus withhold their ideas, their engagement and passion. As a result, the talents of millions of human beings are underutilized. That’s a terrible waste, and it is becoming less and less tenable. It is high time to give those people a voice! We call them Rebels at Work. Their aim is not to riot or attract as much attention to themselves as possible by being hooligans or troublemakers. Rebels create possibilities, blaze new trails and find ways to change business as usual while troublemakers are self-centered complainers, alienating others. Rebels at Work are the deviators whose ideas drive forward the development of new ideas. The ones who are trying to improve, change and innovate – regardless of whether they have a formal position of authority. These people should not be considered an annoying disturbance, but rather the ones who will bring important new ideas into the world, because the new contradicts normality, and contradiction is an important driver of innovation. Viewed in this light, a corporate rebel becomes a valuable critical mind, a productive lateral thinker, and a courageous voice of change. The Gallup Engagement Index has been documenting the sorry state of affairs for years: a scant 13 percent of employees around the world are emotionally engaged in their work. One very important reason is that people who don’t feel they are being listened to or who feel that their suggestions are not treated with respect will effectively give up sooner or later. As a result, vast quantities of human imagination are squandered every day! It goes without saying that employees have ideas. But the point is, is it worth their while to voice their ideas? New ideas pay no heed to hierarchies, organizational structures, or seniority. We have nothing against the occasional in-house innovation contest, but such initiatives can only provide a trigger or spark. If you want to create a sustainable culture of innovation, you need to provide everyone with the tools and methods to develop ideas and ensure that they are listened to. People who provide new ideas, critical suggestions, and possible changes should not be branded as troublemakers, but rather seen as a valuable assets for the organization, who are making a significant contribution to the future viability of the organization. Of course, managers might fear that these corporate rebels could join forces and form pockets of resistance with the potential to cause long-term disturbance. But in reality, these rebels at work are already walking around in the offices and corridors of the organization. Many of them have the potential to become forces for good within their organization. However, if they are ignored or marginalized, they will not only be prevented from getting involved, but from daring to try anything new at all. This creates a system where anything that deviates from the established norm is nipped in the bud. The problem is that the decision to foster positive deviators is the hardest one for an organization to take, because such people disrupt the established order. That is why many organizations see putting their faith in those who won’t speak up or rock the boat as the better option. They couldn’t be more misguided! The last thing we need are more people who walk around approaching work as mindless drones ‘just following orders’. Those who don’t question anything or dare to try anything new today are sure to fail tomorrow, as the rules of the game are changing all the time. That is why organizations should value these rebels and make use of their strength, ideas, and bravery. Constructive dissent should be the first thing to be welcomed and encouraged, not the last resort! As a result of many conversations and the feedback we receive, we realize that there are many such rebels among our readers. We want you to be heard, seen, and to have the opportunity to contribute your ideas. That is why we founded “Rebels at Work”.